Advanced level SEO hacking is done through servers using. .htaccess and hosting accounts. Nevertheless before promotion security setup has to be done instead of loosing all data and SEO work, which gives your competitor upper hand, by the help of a SEO hacker. Those who have not looked into data security still, its not late, you have to look into issues and fix it up very soon, through SEO your reaching global market, your site or blog covers most of your crowds, so careful about your resources, spend time for data security too and earn good revenue. Companies & marketers put in so much of effort to make their visibility in the search results appreciable. Reputation is a vital factor for every organization. It may even cost you millions of dollars. With the vast usage of Internet, blogs products and brands reach the customers at the faster rate never as before. Henceforth, online reputation has become a basic necessity. With so much of attention being given to reputation and steps taken to bring it up, yet it so happens that sometimes the page rankings given by search engines (SERPs) become unsatisfactory. With the massive increase in the companies in the market, their websites and customer expectations, you are always on the urge to have a cutting edge over your competitors and win over your potential customers. Gossips, Unnecessary rumors, dissatisfied customers can highly damage your company reputation. Many companies see that poor brand building are a public relation issue, while its actually held up with the PR firms. They form the basic cause for such brand issues. Online reputation management has indeed become a great problem for most of the companies in the market. When you try to displace the negative search results, it becomes a only a temporary solution, not a complete cure. We need to understand that such negative search results not only come from commonly used search engines, but also occur from blog searches, video sites, news searches, etc. One needs to understand that even negative comments can have immense affect over the brand image that companies have created over the years. They are forced to pay in protecting the brands as the customers interact with these brands. So what so we do on for this online reputation protection? We need to monitor the brands, products, company on the whole and its key executives. We are forced to keep track of all search results, blog searches, news searches, forums, tags, etc. You need to first be aware of what and hoe your brand is being said online. This would help you to optimize your brand accordingly to be on the top of the search results. Keep track of every alert: Google alerts, yahoo alerts; RSS feeds subscriptions, Search engine news (Google and Yahoo), Blogs, Feedster, Feed burner, technorati, tags cloud so on. Optimization remains the most effective method and infact acts as a preventive measure too. Most firms focus on reactive optimization to handle negative searches. It has the companies go after the brand / reputation dissenters. Companies need to optimize their website, brand, brand content and other online properties effectively in order to have their online reputation safe and high. Every means of communication, like the Public Relations, marketing, SEO, human resource, investor relations and other related means like the texts, images used, video and audio created for the brand and products all contribute to the SERP. You need to optimize your main corporate site, micro sites, blogs, forums, press releases, articles, newsletters and even the partner sites to get hold of your reputation.Also make use of free online SEO tools to optimze your site. Active Engagement & Participation: When you have successfully identified the cause for the negatives search results, you need to deal with a few other things. You need to research on them, start thinking on the facts and the possible rectifying actions for the same. Start discussing over them and start being honest and transparent, and above all be ready to listen. Results can turn out to be anything. But continue to follow the concepts with sincerity, keeping track of the business and market trends. Be a continuous participator in major industry networks, social events, opinion polls, social networks, blog updation and follow-ups. This should help you to gather your company image outside with the consumers and help you to act accordingly. You start being proactive and start analyzing your audiences and your brand and their interactions. Focus on the brand content. More you focus on them, lesser your negative search results. But remember, all these steps is a ongoing process. Continuously track your reputation and consumer perception over you company and brands. And act quickly and clearly. Regular online reputation management, the secret behind your brand and organization success. “Brand – a trademark or a unique name to identify your product or a manufacturer”, has always remained the most important criteria for companies to gain their popularity. It is very important to create and maintain your brand and brand image throughout your presence in the market. It is difficult to attain this result as the market gets saturated with every company aiming towards it. You need to keep an eye on your customers and markets regularly to achieve this branding success. Now how does SEO got to do with this? In earlier days, branding was achieved majorly with campaigns, television ads, radio ads, billboards or every other place where the company can put up their product posters or details. But every time these techniques work for every kind of customers? The World Wide Web is a huge space. Every minute large number of sites and pages are being added on to the web. In such a scenario, where do your products and efforts stand? Where do they take you in the competitive market? Where do companies get to find their real dedicated customers or to be potential customers? You might even go unnoticed unless you put in some updated and extra effort to set your brand image really strong. With the massive use of internet, a good and well promoted website for your company and products, can gain in more potential customers towards it. Now with internet and all the search engines like Google, Yahoo, MSN., you can put forth your products and services to the more customers in a much easier process. And to create such a powerful online presence you need experienced SEO professionals. 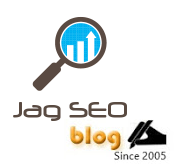 SEO professionals who plan your online marketing strategy. They work with you in close coordination and create your online presence. If you lack in this, you are giving chances for your competitors to have in more traffic to their websites and you lose in customers to them. It is essential for you to have a neat and simple website with details that are understandable and well projected. Else with any number of SEO techniques, you tend to go nowhere. A well planned optimized website can be interesting to look and understand, while it also delivers a complete successful corporate image. Organized website structures, Website popularity, Keywords researches do it right for your site and get your website along with your company name and product well branded. Give in time to learn, explore and research on your products / services and place them in the online market. Build your site and just wait for your visitors. It will tell the potential targeted customers how effective your products and efficient your company is. Build your website, product, and company - your brand online, with SEO.